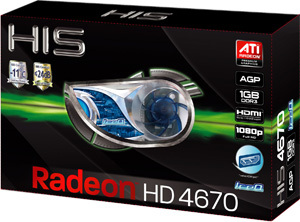 A system with an ATI RadeonTM HD 4600 Series graphics card can help enhance the HD entertainment experience by providing a seamless connection to an HDTV or home theater system. With built-in 7.1 surround sound audio (AC3 / DTS ), the new GPUs and graphics cards support single cable connection directly to a compatible HDTV, projector or receiver. This single cable carries both the HD video and 8 channel audio for a clean, high definition connection. These options give consumers more options and flexibility when connecting their PCs to monitors or home theaters for maximum enjoyment of HD content. The new GPU also supports xvYCC color which can display a wider range of color when connected to capable HDTVs. I bought this card 3 months ago for an old Pentium 4 HT system. And WOW! I can play all the newest games out there on an old pent 4 system. Playing Mass Effect 3 at the moment! Most people tell me its impossible to run these games on my system, but with this card i can. My old dell xps lives on. amazing. I bought this card in hope it would keep me from junking this PC. AlienWare Aurora. The old card was 7800gt AGP 256mb. Now I play Skyrim and Crysis 2 at blistering 60fps at the lest! One important thought if your CPU is slow you will benefit less from this card! Though this card is still the best out there for any AGP! 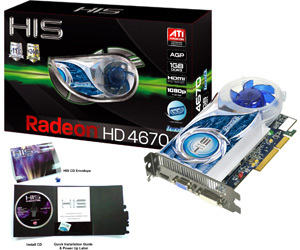 Thanks HIS for my HIS HD4670 1GB AGP. This card has sealed my fate, HIS for me from now on! Just wishing there was a 5670 or a 6670 agp.. Mine should arrive today. From reading the comments I think I made the right choice. Can't wait to play my games on settings other than low! Just brilliant...if you have an old computer with an A Socket motherboard (or any "oldish" motherboard) with an AGP 8x slot, I recommend buying this graphics card. It runs many of the latest games quite well and increases the speed immensely. 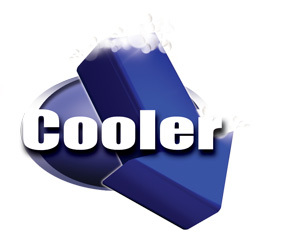 With an amazing cooling feature to boot, IceQ ones again overclocks it to its prime potential and allows for a nice overall cooling feature for your computer in general. So I recommending dusting off that old computer and try giving this a whirl, you'll be in for a ride. 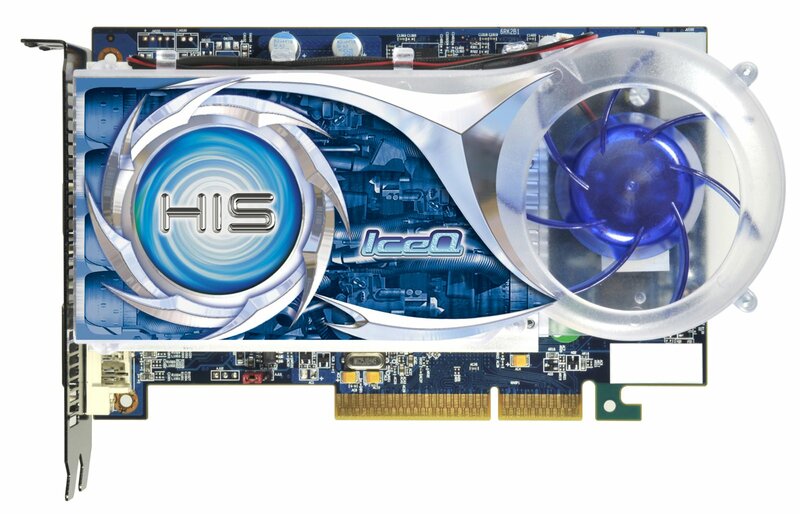 Note for IceQ: Keep up the good work, I'll be looking for another revamped older (or newer) graphics card to try out. This is the best replacement for an older AGP machine. Ive seen a major increase in frames on mutiple games. The HIS 4670 IceQ Stays cool, it's silent, it's fast. Im glad to see that HIS is still making AGP cards and that they can keep up with alot of the new stuff. 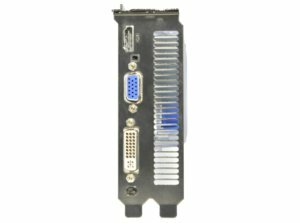 If you need a new AGP card for your computer. THIS IS IT! 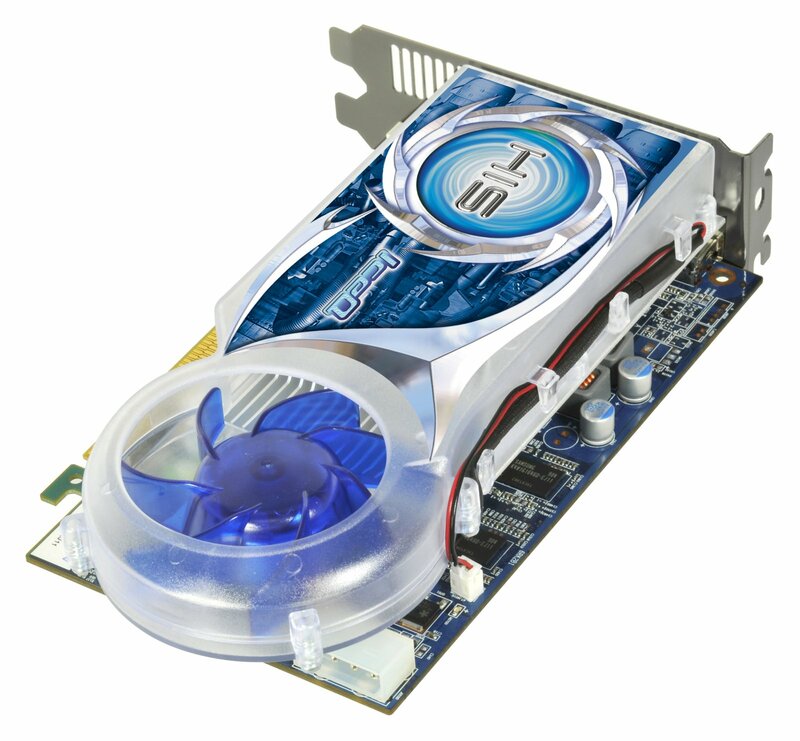 As of 2010, few new motherboards feature AGP slots, but in average not feature integrated graphics. So, for heavy display purposes i buy this HIS HD 4670 Agp. Good performance, better quality. HIS lived AGP! My agp card was slow; I'm buying wrong card. So I bought this card for old agp replacement. It's design was perfect, IceQ technology. And I surprised with this card performance!! COOL MAN!! This is an extremely graphic card!!! For 5 years I'm searching for perfect AGP-Slot VGA card, and I bought 1 HIS HD 4670 AGP for playing Command Conquer Generals game. And, how real the picture is! Thousand thanks for you, HIS! I hope you still produce this card. I want to buy more! I bought this card to squeeze as much juice out of my Pentium 4 as I can, and I was not disappointed, but so impressed! I’ve added a couple of years to my old machine! I’m able to run games that are designed for Core 2 Duos and higher! I’ve had this card for several weeks, and I’m so please and grateful to HIS for adding revolutionary technology to older hardware! 1- As a first step, download and save the most current driver for this card from the HIS website, BUT DON'T INSTALL IT YET! 2- Remove your old graphic drivers. 5- Replace your old card with your new one. 7- Install saved downloaded drivers from step 1, and you’re done! If I’m not mistaken, to my best of knowledge, this is the fastest, most revolutionary and most optional “AGP” graphics card yet, since AGP cards are no longer manufactured and have been replaced by PCIe. 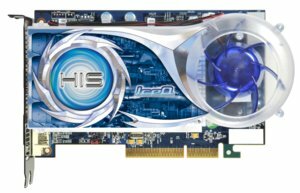 I bought this card hoping to get some more life out of my 7 year old computer, i looked for many PCI cards but none were good at all. Finally i started looking for AGP cards and found this, went ahead and bit my lip and bought this card hoping it would make a great difference. Well i've been using it for 5 days now, and i will say this, it has surpassed my hopes and has probably given my computer 2-3 more years of use. I can now play the games i've had sitting in boxes for awhile now. Great card, works great with my 1080p monitor. I love it, i will purchase from HIS again. 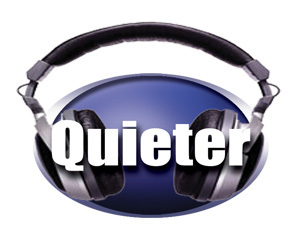 BTW, for those people who want "quiet" cards, this card is VERY VERY silent. Fantástica, ela tem um desempenho muito superior que uma placa de 256Bit, recomendo para gamers e casemods, recomendo!! Enfin une exellente carte graphique en AGP!! 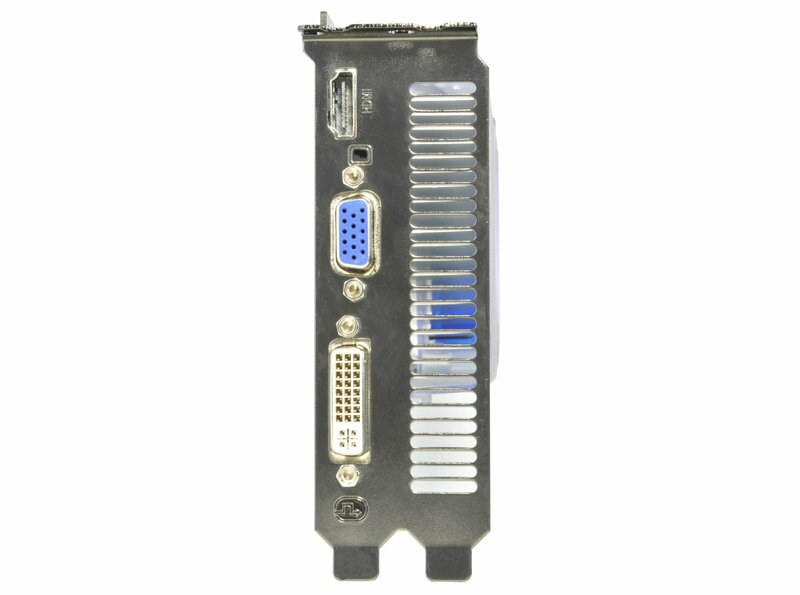 Le port AGP est dédié aux graphisme contrairemenaux ports Pci et Pcie etexpress. Cete carte est tres rapide. Un exellent travail. after reading reviews....i will def. buy this card. plz make it available in india. kindly contact to my mail.i would like to buy this card. Great card really, I am totally happy with this upgrade. Great Graphic-Card! It works absolutly perfect with my CPU (AMD AthlonXP 3200+) and my Board (A7N8X-E deluxe nForce2Ultra400)! 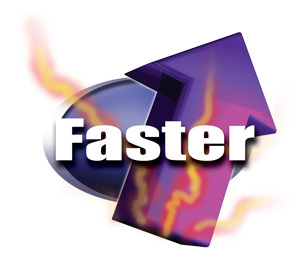 Games are running very good and fast. Most I like the HDMI-output because I use my PC also for TV-Recording! Many congratulations to HIS for this perfect, cool and noiseless Card! Yes the 4670 agp 1M is cool but a super overclocked version or simply a 4770 agp would have been a better mainstream choice. 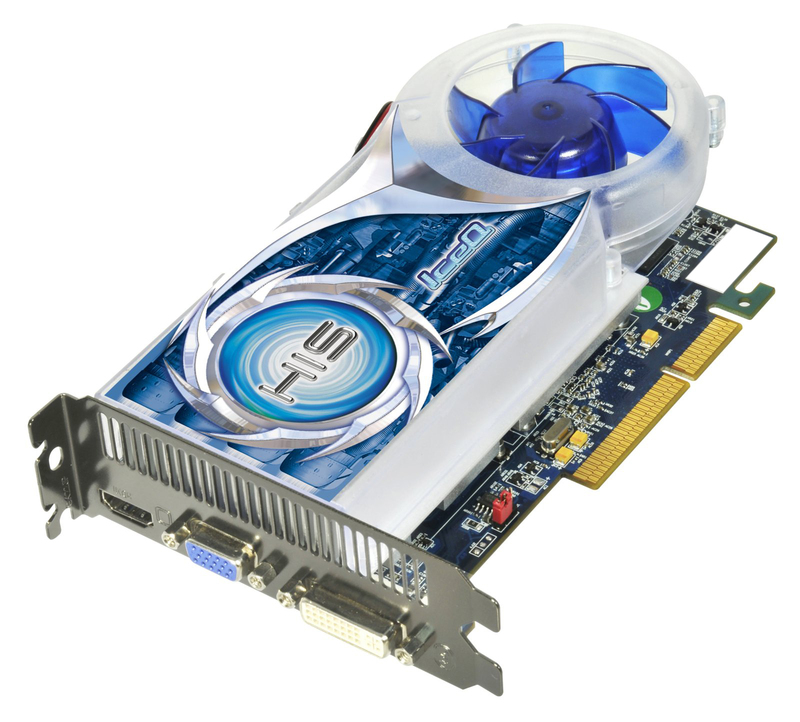 For agp users the cards would have sold like hotcakes. Im using a msi 8x agp motherboard 2gig of xms 800ddr2 4-4-4-12 latency & a athalon 6400x2. A killer agp card would be great. Something to upgrade from a 7950gt apg would be very welcomed.